The tool offers the possibility of searching in the VO for catalog photometry for the objects in the user file. In order to do that, the object coordinates must be known as precisely as possible. Either the user can provide these coordinates in the input file or they can be obtained also from the VO. 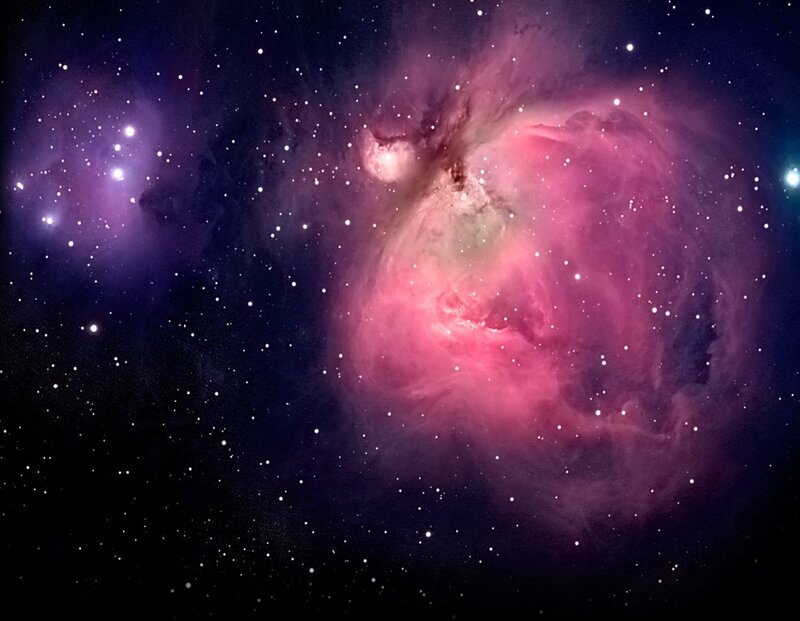 VOSA offers access to several catalogs with observed photometry from the infrared to the ultraviolet. You can choose which catalogs to use and the search radius within each one. 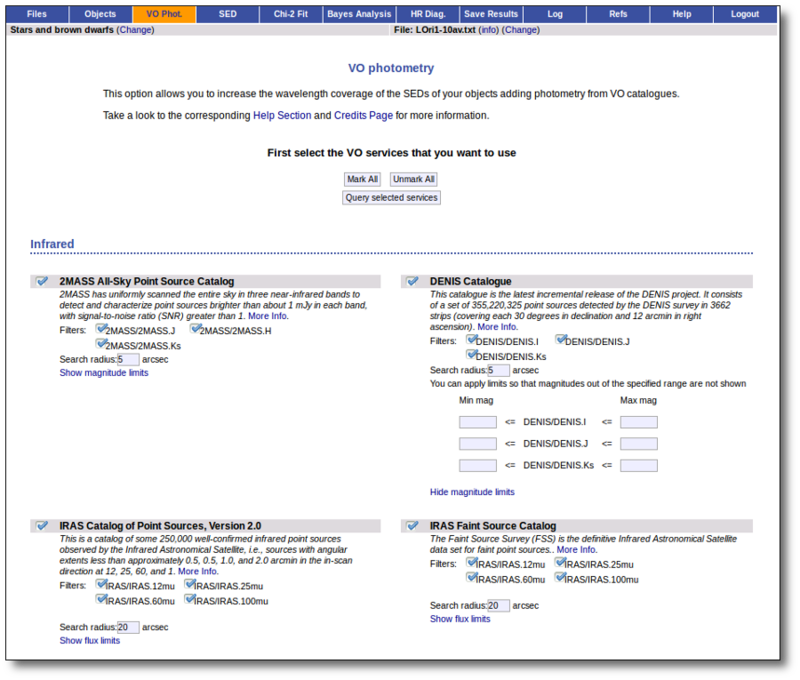 For each catalog, you have the option to establish magnitude limits, so that only photometry values in that range will be retrieved. For each object in the user file, each catalog will be queried specifying the given radius, and the best result (the one closer to the object coordinates) will be retrieved. For some catalogs there are special restrictions. For instance, for the UKIDSS surveys, the search is restricted to class -1 (star) or -2 (probable star) objects. These special restrictions, when applied, are explicitly commented in the brief catalog description in the VOSA form. 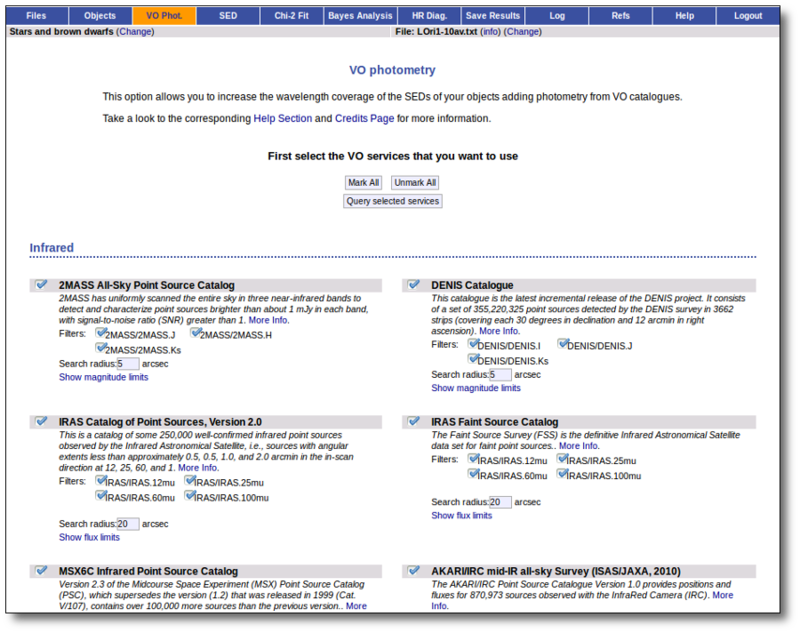 When you click the "Search" button, VOSA starts the operation of querying VO catalogs. This search is performed asynchronously so that you don't need to stay in front of the computer waiting for the search results. You can close your browser and come back later. If the search is not finished, VOSA will give you some estimation of the status of the operation and the remaining time. When the search process is finished you will see the photometric values obtained for each object (if any). If the catalog provides magnitude values, these are automatically converted to fluxes. Take a look to the Credits section for information about the available VO catalogs.